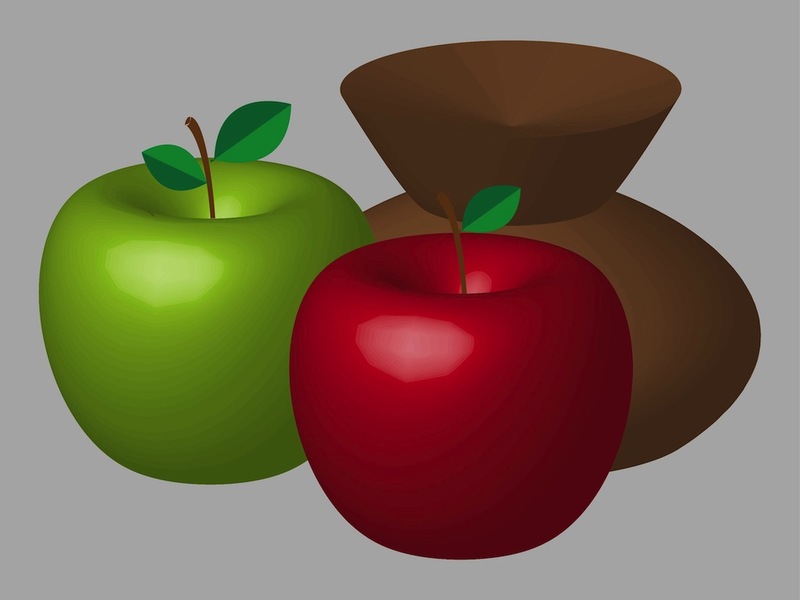 Still life vector art layout of everyday objects and food arranged in a nature morte composition. Shiny ripe apples placed in front of a dark pot or vase with a strange shape. Free vector illustration for all kinds of painters, painting, traditional art and still life projects. Free image to decorate any poster or cooking book cover. Tags: Apples, Composition, Food, Fruits, Pot, Pottery, Still Life.